In an unusual procedure, Judge Reade, of the Northern District of Iowa, released a 52-page memorandum on Monday, a day before the scheduled sentencing hearing, in which she explained her decision. She will formally impose the sentence on Tuesday. Israeli civilians (of all religions) intentionally killed by Palestinian violence and terrorism (since 2000): 1,190 and over 8,000 wounded. Amount of US Aid to the Palestinians: over $900 million. From Helium article: Warnings were raised as long as a year before the Deepwater Horizon disaster that the area of seabed chosen by the BP geologists might be unstable, or worse, inherently dangerous. What makes the location that Transocean chose potentially far riskier than other potential oil deposits located at other regions of the Gulf? It can be summed up with two words: methane gas. The oil spill happened on Yom Haatzmaut, 5 Iyyar, 21 to the Omer, which fell on 6 Iyyar because of the tradition to not have a sad day on Shabbat. From Wikipedia: massive ongoing oil spill in the Gulf of Mexico that is now considered the largest offshore spill in U.S. history. Some estimates placed it by late May or early June, 2010, as among the largest oil spills in the world with tens of millions of gallons spilled to date. More than a century and a half after the Chida was buried in Laverne, plans were made to rebury him on Har Hamenuchos. The arrangements for the transfer of his remains were made by the Sefardic Chief Rabbi Rav Yitzchak Nissim. It was decided to bring his remains to Eretz Yisroel because the Fascists in Laverne planned to convert the cemetery in which he was buried into a public park, and to reinter him in a new plot in a different cemetery. When the plane bearing the Chida's coffin landed in Eretz Yisroel, the rabbanim who had escorted it from Laverne learned that during the flight, the coffin had fallen twice and, each time it was picked up, it was turned upside down. One of the escorts was Rav Mordechai Eliyahu, who later served as Sefardic chief rabbi. After the necessary arrangements for bringing the coffin from the airport to Yerushalayim were made, Rav Eliyahu told the other escorts, "We must open the coffin and rearrange the Chida's remains." The other rabbanim disagreed with him. However, Rav Mordechai insisted that it wasn't respectable to bury the Chida in such a state. Then, fearfully yet courageously, he lifted the coffin's lid slightly and said, "Rabbeinu HaChida, please forgive me if in any way I am not fulfilling this mitzva properly." As his hand reached deeper into the coffin, he continued, "Rabbeinu, please do this task by yourself, lest I err." Suddenly, the coffin began to shake, and a rattling sound - made by the Chida's remains striking the coffin's walls - was heard. The rav standing next to Rav Mordechai was so startled that he fainted. When the rattling subsided, Rav Eliyahu examined the entire coffin with his hand to make sure that all the remains were in the right place. From Lod, the coffin was brought to Yerushalayim. There it was met by tens of thousands of Jews, who escorted it to Har Hamenuchos. The Chida had finally come home. Shulchan Aruch Yoreh Deah 252:3 Every moment that one delays in freeing captives, in cases where it is possible to expedite their freedom, is considered to be tantamount to murder. Rambam: "The redeeming of captives takes precedence over supporting the poor or clothing them. There is no greater mitzvah than redeeming captives for the problems of the captive include being hungry, thirsty, unclothed, and they are in danger of their lives too. Ignoring the need to redeem captives goes against these Torah laws: “Do not harden your heart or shut your hand against your needy fellow” (Devarim 15:7); “Do not stand idly by while your neighbor’s blood is shed” (Vayikra 19:16). And misses out on the following mitzvot: “You must surely open your hand to him or her” (Devarim15:8); “...Love your neighbor as yourself” (Vayikra 19:18); “Rescue those who are drawn to death” (Proverbs 24:11) and there is no mitzvah greater than the redeeming of captives." Here is a very powerful statement by Indiana Republican Mike Pence on Obama's Israel policy. For Bernie Madoff, living a lie had once been a full-time job, which carried with it a constant, nagging anxiety. “It was a nightmare for me,” he told investigators, using the word over and over, as if he were the real victim. “I wish they caught me six years ago, eight years ago,” he said in a little-noticed interview with them. “Well, that’s what I did,” Madoff said matter-of-factly. “You are going to pay with God,” Pollard warned. ו גֹּמֶר, וְכָל-אֲגַפֶּיהָ--בֵּית תּוֹגַרְמָה, יַרְכְּתֵי צָפוֹן וְאֶת-כָּל-אֲגַפָּיו; עַמִּים רַבִּים, אִתָּךְ. 6 Gomer, and all his bands; the house of Togarmah in the uttermost parts of the north, and all his bands; even many peoples with thee. ז הִכֹּן, וְהָכֵן לְךָ--אַתָּה, וְכָל-קְהָלֶךָ הַנִּקְהָלִים עָלֶיךָ; וְהָיִיתָ לָהֶם, לְמִשְׁמָר. 7 Be thou prepared, and prepare for thyself, thou, and all thy company that are assembled unto thee, and be thou guarded of them. ח מִיָּמִים רַבִּים, תִּפָּקֵד--בְּאַחֲרִית הַשָּׁנִים תָּבוֹא אֶל-אֶרֶץ מְשׁוֹבֶבֶת מֵחֶרֶב מְקֻבֶּצֶת מֵעַמִּים רַבִּים, עַל הָרֵי יִשְׂרָאֵל אֲשֶׁר-הָיוּ לְחָרְבָּה תָּמִיד; וְהִיא מֵעַמִּים הוּצָאָה, וְיָשְׁבוּ לָבֶטַח כֻּלָּם. 8 After many days thou shalt be mustered for service, in the latter years thou shalt come against the land that is brought back from the sword, that is gathered out of many peoples, against the mountains of Israel, which have been a continual waste; but it is brought forth out of the peoples, and they dwell safely all of them. יב לִשְׁלֹל שָׁלָל, וְלָבֹז בַּז--לְהָשִׁיב יָדְךָ עַל-חֳרָבוֹת נוֹשָׁבוֹת, וְאֶל-עַם מְאֻסָּף מִגּוֹיִם, עֹשֶׂה מִקְנֶה וְקִנְיָן, יֹשְׁבֵי עַל-טַבּוּר הָאָרֶץ. 12 to take the spoil and to take the prey; to turn thy hand against the waste places that are now inhabited, and against the people that are gathered out of the nations, that have gotten cattle and goods, that dwell in the middle of the earth. יד לָכֵן, הִנָּבֵא בֶן-אָדָם, וְאָמַרְתָּ לְגוֹג, כֹּה אָמַר אֲדֹנָי יְהוִה: הֲלוֹא בַּיּוֹם הַהוּא, בְּשֶׁבֶת עַמִּי יִשְׂרָאֵל לָבֶטַח--תֵּדָע. 14 Therefore, son of man, prophesy, and say unto Gog: Thus saith the Lord GOD: In that day when My people Israel dwelleth safely, shalt thou not know it? יח וְהָיָה בַּיּוֹם הַהוּא, בְּיוֹם בּוֹא גוֹג עַל-אַדְמַת יִשְׂרָאֵל--נְאֻם, אֲדֹנָי יְהוִה: תַּעֲלֶה חֲמָתִי, בְּאַפִּי. 18 And it shall come to pass in that day, when Gog shall come against the land of Israel, saith the Lord GOD, that My fury shall arise up in My nostrils. וְכָל-חוֹמָה, לָאָרֶץ תִּפּוֹל. 20 so that the fishes of the sea, and the fowls of the heaven, and the beasts of the field and all creeping things that creep upon the ground, and all the men that are upon the face of the earth, shall shake at My presence, and the mountains shall be thrown down, and the steep places shall fall, and every wall shall fall to the ground. כא וְקָרָאתִי עָלָיו לְכָל-הָרַי חֶרֶב, נְאֻם אֲדֹנָי יְהוִה: חֶרֶב אִישׁ, בְּאָחִיו תִּהְיֶה. 21 And I will call for a sword against him throughout all my mountains, saith the Lord GOD; every man's sword shall be against his brother. כב וְנִשְׁפַּטְתִּי אִתּוֹ, בְּדֶבֶר וּבְדָם; וְגֶשֶׁם שׁוֹטֵף וְאַבְנֵי אֶלְגָּבִישׁ אֵשׁ וְגָפְרִית, אַמְטִיר עָלָיו וְעַל-אֲגַפָּיו, וְעַל-עַמִּים רַבִּים, אֲשֶׁר אִתּוֹ. 22 And I will plead against him with pestilence and with blood; and I will cause to rain upon him, and upon his bands, and upon the many peoples that are with him, an overflowing shower, and great hailstones, fire, and brimstone. וְיָדְעוּ כִּי-אֲנִי יְהוָה 23 Thus will I magnify Myself, and sanctify Myself, and I will make Myself known in the eyes of many nations; and they shall know that I am the LORD. ג וְהִכֵּיתִי קַשְׁתְּךָ, מִיַּד שְׂמֹאולֶךָ; וְחִצֶּיךָ, מִיַּד יְמִינְךָ אַפִּיל. 3 and I will smite thy bow out of thy left hand, and will cause thine arrows to fall out of thy right hand. ד עַל-הָרֵי יִשְׂרָאֵל תִּפּוֹל, אַתָּה וְכָל-אֲגַפֶּיךָ, וְעַמִּים, אֲשֶׁר אִתָּךְ: לְעֵיט צִפּוֹר כָּל-כָּנָף וְחַיַּת הַשָּׂדֶה, נְתַתִּיךָ לְאָכְלָה. 4 Thou shalt fall upon the mountains of Israel, thou, and all thy bands, and the peoples that are with thee; I will give thee unto the ravenous birds of every sort and to the beasts of the field, to be devoured. ה עַל-פְּנֵי הַשָּׂדֶה, תִּפּוֹל: כִּי אֲנִי דִבַּרְתִּי, נְאֻם אֲדֹנָי יְהוִה. 5 Thou shalt fall upon the open field; for I have spoken it, saith the Lord GOD. ו וְשִׁלַּחְתִּי-אֵשׁ בְּמָגוֹג, וּבְיֹשְׁבֵי הָאִיִּים לָבֶטַח; וְיָדְעוּ, כִּי-אֲנִי יְהוָה. 6 And I will send a fire on Magog, and on them that dwell safely in the isles; and they shall know that I am the LORD. קָדוֹשׁ בְּיִשְׂרָאֵל 7 And My holy name will I make known in the midst of My people Israel; neither will I suffer My holy name to be profaned any more; and the nations shall know that I am the LORD, the Holy One in Israel. ח הִנֵּה בָאָה וְנִהְיָתָה, נְאֻם אֲדֹנָי יְהוִה: הוּא הַיּוֹם, אֲשֶׁר דִּבַּרְתִּי. 8 Behold, it cometh, and it shall be done, saith the Lord GOD; This is the day whereof I have spoken. יא וְהָיָה בַיּוֹם הַהוּא אֶתֵּן לְגוֹג מְקוֹם-שָׁם קֶבֶר בְּיִשְׂרָאֵל, גֵּי הָעֹבְרִים קִדְמַת הַיָּם, וְחֹסֶמֶת הִיא, אֶת-הָעֹבְרִים; וְקָבְרוּ שָׁם, אֶת-גּוֹג וְאֶת-כָּל-הֲמוֹנֹה, וְקָרְאוּ, גֵּיא הֲמוֹן גּוֹג. 11 And it shall come to pass in that day, that I will give unto Gog a place fit for burial in Israel, the valley of them that pass through on the east of the sea; and it shall stop them that pass through; and there shall they bury Gog and all his multitude; and they shall call it the valley of Hamon-gog. יב וּקְבָרוּם בֵּית יִשְׂרָאֵל, לְמַעַן טַהֵר אֶת-הָאָרֶץ, שִׁבְעָה, חֳדָשִׁים. 12 And seven months shall the house of Israel be burying them, that they may cleanse the land. יג וְקָבְרוּ כָּל-עַם הָאָרֶץ, וְהָיָה לָהֶם לְשֵׁם--יוֹם, הִכָּבְדִי, נְאֻם, אֲדֹנָי יְהוִה. 13 Yea, all the people of the land shall bury them, and it shall be to them a renown; in the day that I shall be glorified, saith the Lord GOD. יד וְאַנְשֵׁי תָמִיד יַבְדִּילוּ, עֹבְרִים בָּאָרֶץ, מְקַבְּרִים אֶת-הָעֹבְרִים אֶת-הַנּוֹתָרִים עַל-פְּנֵי הָאָרֶץ, לְטַהֲרָהּ--מִקְצֵה שִׁבְעָה-חֳדָשִׁים, יַחְקֹרוּ. 14 And they shall set apart men of continual employment, that shall pass through the land to bury with them that pass through those that remain upon the face of the land, to cleanse it; after the end of seven months shall they search. טו וְעָבְרוּ הָעֹבְרִים, בָּאָרֶץ, וְרָאָה עֶצֶם אָדָם, וּבָנָה אֶצְלוֹ צִיּוּן--עַד קָבְרוּ אֹתוֹ הַמְקַבְּרִים, אֶל-גֵּיא הֲמוֹן גּוֹג. 15 And when they that pass through shall pass through the land, and any seeth a man's bone, then shall he set up a sign by it, till the buriers have buried it in the valley of Hamon-gog. יז וְאַתָּה בֶן-אָדָם כֹּה-אָמַר אֲדֹנָי יְהוִה, אֱמֹר לְצִפּוֹר כָּל-כָּנָף וּלְכֹל חַיַּת הַשָּׂדֶה הִקָּבְצוּ וָבֹאוּ הֵאָסְפוּ מִסָּבִיב, עַל-זִבְחִי אֲשֶׁר אֲנִי זֹבֵחַ לָכֶם זֶבַח גָּדוֹל, עַל הָרֵי יִשְׂרָאֵל; וַאֲכַלְתֶּם בָּשָׂר, וּשְׁתִיתֶם דָּם. 17 And thou, son of man, thus saith the Lord GOD: Speak unto the birds of every sort, and to every beast of the field: Assemble yourselves, and come; gather yourselves on every side to My feast that I do prepare for you, even a great feast, upon the mountains of Israel, that ye may eat flesh and drink blood. יח בְּשַׂר גִּבּוֹרִים תֹּאכֵלוּ, וְדַם-נְשִׂיאֵי הָאָרֶץ תִּשְׁתּוּ; אֵילִים כָּרִים וְעַתּוּדִים פָּרִים, מְרִיאֵי בָשָׁן כֻּלָּם. 18 The flesh of the mighty shall ye eat, and the blood of the princes of the earth shall ye drink; rams, lambs, and goats, bullocks, fatlings of Bashan are they all of them. יט וַאֲכַלְתֶּם-חֵלֶב לְשָׂבְעָה, וּשְׁתִיתֶם דָּם לְשִׁכָּרוֹן, מִזִּבְחִי, אֲשֶׁר-זָבַחְתִּי לָכֶם. 19 And ye shall eat fat till ye be full, and drink blood till ye be drunken, of My feast which I have prepared for you. כ וּשְׂבַעְתֶּם עַל-שֻׁלְחָנִי סוּס וָרֶכֶב, גִּבּוֹר וְכָל-אִישׁ מִלְחָמָה--נְאֻם, אֲדֹנָי יְהוִה. 20 And ye shall be filled at My table with horses and horsemen, with mighty men, and with all men of war, saith the Lord GOD. כא וְנָתַתִּי אֶת-כְּבוֹדִי, בַּגּוֹיִם; וְרָאוּ כָל-הַגּוֹיִם, אֶת-מִשְׁפָּטִי אֲשֶׁר עָשִׂיתִי, וְאֶת-יָדִי, אֲשֶׁר-שַׂמְתִּי בָהֶם. 21 And I will set My glory among the nations, and all the nations shall see My judgment that I have executed, and My hand that I have laid upon them. כב וְיָדְעוּ בֵּית יִשְׂרָאֵל, כִּי אֲנִי יְהוָה אֱלֹהֵיהֶם, מִן-הַיּוֹם הַהוּא, וָהָלְאָה. 22 So the house of Israel shall know that I am the LORD their God, from that day and forward. כג וְיָדְעוּ הַגּוֹיִם כִּי בַעֲו‍ֹנָם גָּלוּ בֵית-יִשְׂרָאֵל, עַל אֲשֶׁר מָעֲלוּ-בִי, וָאַסְתִּר פָּנַי, מֵהֶם; וָאֶתְּנֵם בְּיַד צָרֵיהֶם, וַיִּפְּלוּ בַחֶרֶב כֻּלָּם. 23 And the nations shall know that the house of Israel went into captivity for their iniquity, because they broke faith with Me, and I hid My face from them; so I gave them into the hand of their adversaries, and they fell all of them by the sword. כד כְּטֻמְאָתָם וּכְפִשְׁעֵיהֶם, עָשִׂיתִי אֹתָם; וָאַסְתִּר פָּנַי, מֵהֶם. הגשר אשר בכותל המערבי בירושלם יתמוטט שוב"
וְקִנֵּאתִי, לְשֵׁם קָדְשִׁי 25 Therefore thus saith the Lord GOD: Now will I bring back the captivity of Jacob, and have compassion upon the whole house of Israel; and I will be jealous for My holy name. כז בְּשׁוֹבְבִי אוֹתָם, מִן-הָעַמִּים, וְקִבַּצְתִּי אֹתָם, מֵאַרְצוֹת אֹיְבֵיהֶם; וְנִקְדַּשְׁתִּי בָם, לְעֵינֵי הַגּוֹיִם רַבִּים. 27 when I have brought them back from the peoples, and gathered them out of their enemies' lands, and am sanctified in them in the sight of many nations. Rav Chanan Morrison: "What is the root of the incense's secret power? The ketoret also encompasses the forces of destruction, so that they may contribute to building and perfecting the universe. Thus, we find that the ketoret bound together many fragrances, including galbanum (chelbenah), which was an essential ingredient, despite its pungent, unpleasant odor. In this way, these forces fulfill their ultimate purpose, to build and complete. True realization of this transformation, however, will only occur in the distant future, as the path for sweetening the bitterness of the universe is hidden deeply within the divine secrets of Creation." Galbanum (from Wikipedia): It is occasionally used in the making of modern perfume, and is the ingredient which gives the distinctive smell to the fragrance "Must" by Cartier. Amber Jayanti, in her book Living the Qabalistic Tarot says that Galbanum oil is linked with the Tarot card called The Fool, which is also linked to the herb ginseng. Also called Fiery Intelligence, the Fool represents the divine spark that animates the universe. 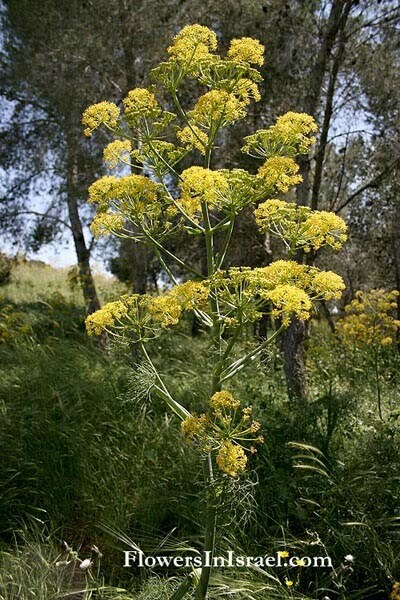 From http://www.scents-of-earth.com: Galbanum has long been valued for it's wonderfully complex green, spicy, woody, balsamlike fragrance. Galbanum was often used to relieve tensions due to anxiety and severe restlessness and to relieve muscle spasms. Aroma Description: powerful, complex, fresh, earthy, rich green, spicy, woody, balsamic-resinous fragrance. וְעָבַר בַּיָּם צָרָה, וְהִכָּה בַיָּם גַּלִּים, וְהֹבִישׁוּ, כֹּל מְצוּלוֹת יְאֹר; וְהוּרַד גְּאוֹן אַשּׁוּר, וְשֵׁבֶט מִצְרַיִם יָסוּר.